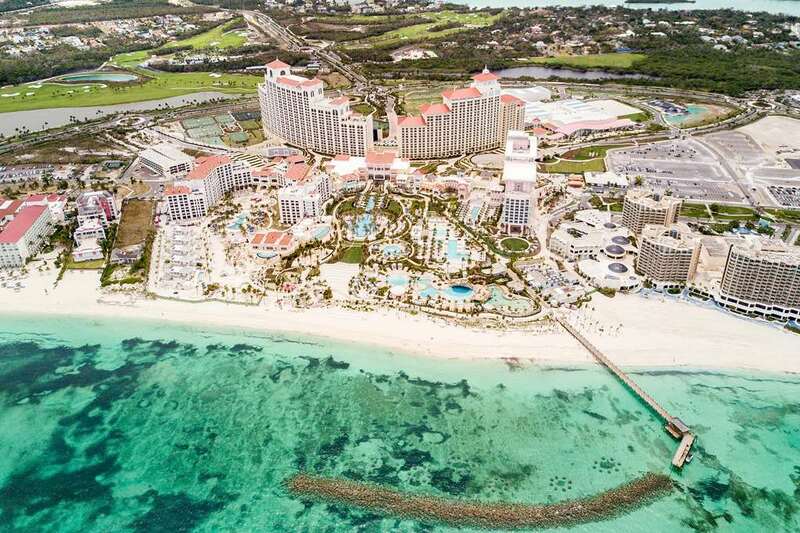 With a stay at Grand Hyatt Baha Mar in Nassau, you'll be on the beach, steps from New Providence Island and a 5-minute drive from Cable Beach. This 4.5-star resort is 6.4 mi (10.3 km) from Cabbage Beach and 3.4 mi (5.4 km) from Junkanoo Beach. Make yourself at home in one of the 1800 air-conditioned rooms featuring minibars and flat-screen televisions. Complimentary wireless Internet access is available to keep you connected. Private bathrooms with bathtubs or showers feature designer toiletries and hair dryers. Conveniences include phones, as well as laptop-compatible safes and desks. Pamper yourself with a visit to the spa, which offers massages, body treatments, and facials. Before a night out at the casino, the 6 outdoor swimming pools are a perfect way to relax and recharge. This resort also features complimentary wireless Internet access, concierge services, and a hair salon. Enjoy seafood at Regatta Buffet, one of the resort's 10 restaurants, or stay in and take advantage of the 24-hour room service. Snacks are also available at the 2 coffee shops/cafés. When you are in need of a refreshing drink, visit the swim-up bar or one of 5 bars/lounges, or 4 poolside bars. Buffet breakfasts are available daily from 6:30 AM to 11 AM for a fee. Featured amenities include express check-in, express check-out, and dry cleaning/laundry services. Planning an event in Nassau? This resort has facilities measuring 200000 square feet (18580 square meters), including conference space. Self parking (subject to charges) is available onsite.